Welcome to Lake Norman Catawba in North Carolina! This beautiful area serves as the perfect spot for your next vacation. 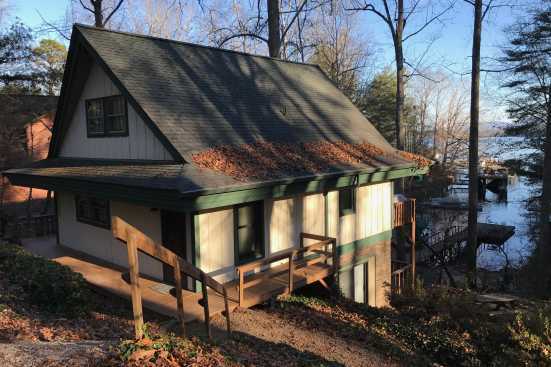 Sitting right on the water, when you stay here you can enjoy the convenience of being in an elegant vacation rental right on the lake, with easy access to everything offered! Spend your trip boating, tubing, surfing, wakeboarding, fishing or enjoying a waterfront meal and drinks at one of our local restaurants and bars! There's an abundance of marinas throughout the area offering you boat and supply rentals as well to make your experience that much better! In terms of food, we've got a few favorites you have to try! One of the best spots around to go is Boss Hog BBQ right by the water, treat yourself to some southern style food in a comfortable scene! Another good place is the Landing Restaurant, here you can enjoy your meal in a fun scene and are also offered outdoor patio seating right by the lake! Don’t miss out! When it comes to drinks, a lot of the local restaurants serve them, but our favorite pub is The Blue Parrot Grill, a fun spot with great drinks, pet-friendly outdoor seating, lake views, live performances, happy hour drinks and more! Smoky Mountains by Owners is proud to have the opportunity to make your vacation the best one yet this year, book online today and begin planning the trip of a lifetime! We look forward to having you!